Across the oil and gas industry, plans to adopt new digital technologies are acknowledged as a priority, with increasing investment allocated to areas like artificial intelligence (AI), the Internet of Things (IoT), blockchain and augmented reality (AR). However, if digital technologies are the key to a successful and competitive future in energy, enabling industry players to transform their core business and better position themselves for growth, they cannot fall into the traps of the past. Digital technologies must be deployed at pace and scale to achieve better end-to-end business outcomes. But is this the case for many oil and gas companies right now? At a recent conference I attended, the audience in a plenary session on future technology in the energy industry was asked who was involved in a proof of concept project for one of these technologies. Most of the delegates raised their hands. Yet, when asked if they could explain the ‘overall vision’ for digital or the technology being piloted, remarkably few kept their hands in the air. Most were not aware of the big picture or the end goal. Our own research would appear to back this up. The Accenture Technology Vision 2018 report for the energy industry found that 39 per cent of oil and gas companies were piloting blockchain; 33 per cent were actively trialling AI; and 28 per cent, some form of extended reality technology – AR and virtual reality (VR). Significant numbers were also in the process of planning to adopt and/or pilot emerging technologies. Further to this, AI and IoT/smart sensors lead the technologies that oil and gas organisations plan investments in over the next year. Therefore, the ambition to embrace new technology clearly exists; although it is also fair to say that few projects have reached full scale deployment. So, what is required to turn pilot projects into game changing operational performance? The technology itself is not the problem, as the benefits of many of the latest technologies are well proven. Vast amounts of data also already exist on which to make robust decisions. However, as we know, data quality is always an issue that requires investment and needs to be addressed. The answer lies in strong leadership and the clarity of vision on where top-down end-to-end transformation is required, and where bottom-up continuous digital improvement would be more appropriate. While these are fundamentally different approaches to change, both require new operating models, skills and methodologies. There needs to be a clear focus on business goals, communicated throughout the organisation, and a dynamic decision-making structure. Ultimately, success will be achieved not through the simple deployment of new technologies with the hope that this will result in operational transformation, but rather through an overhaul of the organisation to take full advantage of digital technologies. Attracting multi-talented teams with all-industry experience – not just data scientists – is also vital, with engineering and physics remaining foremost in the understanding of the challenges and solutions. From this point onwards, all recruitment and training must be undertaken with an eye on the future, when new types of problems will exist, needing different types of capabilities. Capitalising on the strategic, cost and operational benefits digital can bring through the likes of data analysis, smart contracts (blockchain) or better customer and employee interaction using extended realities, will increase competitiveness and allow organisations to transforming core operations, giving them the financial headroom to pivot to new businesses in the future, diversifying their portfolios for growth. Setting strategies for the future is crucial, as is ensuring investment capacity is allocated accordingly between core and new business options. 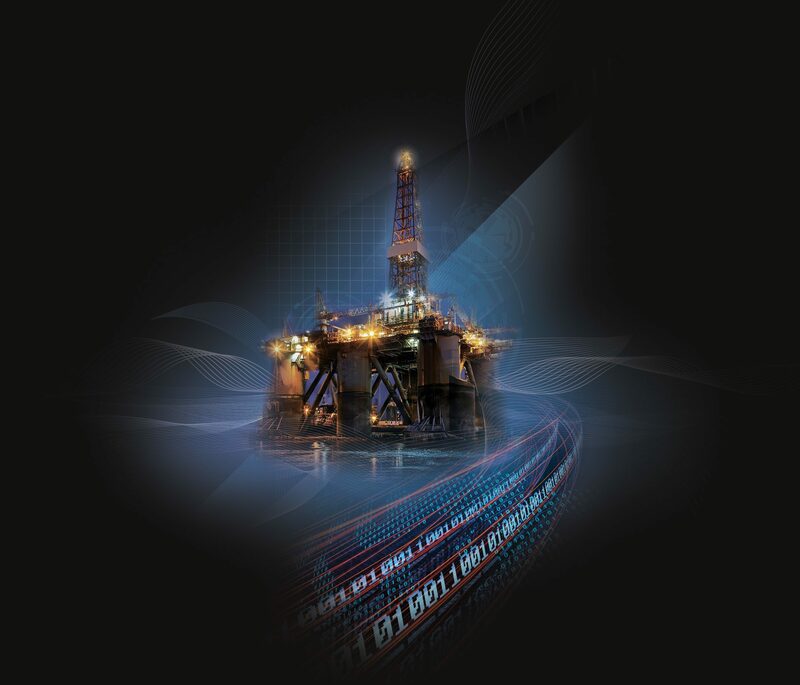 For many in the oil and gas industry, the fundamental changes required to capture the full scale of value offered from digital technologies are still to be made however, and this will require a shift from simple deployment to end-to-end transformation. Just enacting the technology is not the solution; the decision-making structure and approach need to change, as well.